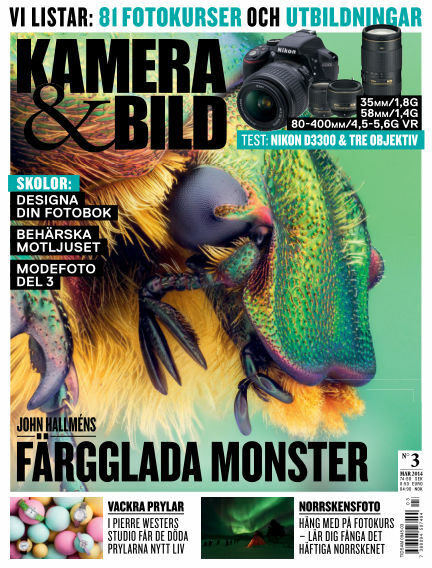 In this issue of Kamera & Bild : John Hallméns färgglada monster, kurs i norrskensfoto och lista över 81 fotokurser och utbildningar. Dessutom: Så gör du din egen fotobok. With Readly you can read Kamera & Bild (issue 2014-03-04) and thousands of other magazines on your tablet and smartphone. Get access to all with just one subscription. New releases and back issues – all included.